Vitamin B12 helps keep your body's nerve and blood cells healthy. It helps make DNA, the genetic material in your cells. It also helps prevent a type of anaemia that can make you feel tired and weak. Normally, your stomach and intestines digest and absorb vitamin B12 from your food. Vitamin B12 deficiency happens when your stomach and intestines can't absorb the vitamin. This can happen if any of the following apply. You have pernicious anaemia. This is where your body destroys the cells in your stomach that help you absorb vitamin B12. You have had surgery to remove part of your stomach or the last part of your small intestine. You have a digestive disorder such as coeliac disease or Crohn's disease. You are on certain long-term medications that make it harder for your body to absorb vitamin B12. These medications include antacids, heartburn medicines such as omeprazole and pantoprazole, and metformin. older people who have a poor appetite and eat very small meals. Vitamin B12 deficiency is diagnosed through a blood test. 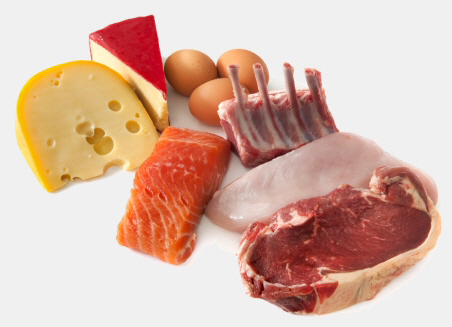 You can't treat vitamin B12 deficiency by diet alone. So if you are low in vitamin B12, your doctor will recommend vitamin B12 treatment. How you replace your stores of vitamin B12 will depend on why your vitamin B12 level is low. If you are low in vitamin B12 because your body can't absorb it from food, you may need vitamin B12 injections. High-dose vitamin B12 tablets are an option for some people, although they are not publicly funded. These tablets provide a much higher dose of vitamin B12 than the standard vitamin supplements you can buy from a pharmacy or health food store. When your vitamin B12 level is back to normal you may be able to stop the treatment. Although some people need ongoing vitamin B12 treatment. Discuss this with your doctor. All animal foods such as meat, chicken, seafood and eggs. Also milk and milk products such as yoghurt, cheese and ice cream. some powdered drinks such as Milo, Vitaplan and Complan. Mushrooms have vitamin B12, but only a very small amount. One serve of mushrooms (100 g) only has 5% of daily vitamin B12 needs. Other plant foods including grains, fruit and vegetables do not contain vitamin B12. Some people claim that seaweed, algae and fermented food such as tempeh contain vitamin B12. But these foods usually contain a form of vitamin B12 that our bodies can't absorb. If you are 65 or older, your body will absorb the vitamin B12 added to fortified foods more easily than the vitamin B12 found in foods naturally. At least one serving of meat, chicken, fish or eggs. A serving is a piece of meat, chicken or fish the size and thickness of the palm of your hand, or one egg. At least two to three servings of milk or milk products. A serving is 1 cup (250 ml) of milk, 1 pottle (150 g) of yoghurt or 2 slices (40 g) of cheese. Vegetables, fruit, breads and cereals don't contain vitamin B12. But you should still eat these foods every day as they provide a range of other important nutrients to keep you healthy. If you are vegetarian, milk and milk products can provide enough vitamin B12. Each day have at least two to three servings of milk or milk products. If you eat eggs, include them regularly. 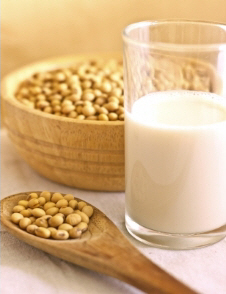 If you are vegan, have vitamin B12 fortified soy, almond, or rice milk daily. One cup (250ml) provides almost 50% of your daily vitamin B12 needs. Include mushrooms and other plant-based fortified foods such as soy sausages and yeast extract. If you don't regularly eat vitamin B12 fortified foods you may need a vitamin B12 dietary supplement. What kinds of vitamin B12 dietary supplements are available? Vitamin B12 is found in most multi-vitamins. There are supplements that only contain vitamin B12. Supplements with vitamin B12 and nutrients such as folic acid and other B vitamins are also available. Vitamin B12 supplements are not made from animal products so they are suitable if you are on a vegan diet. Some people claim that Spirulina is a good source of vitamin B12. But it is in a form that is inactive or can't be absorbed by our body. These supplements are only suitable for maintaining vitamin B12 levels in people who can't get enough vitamin B12 from food. They are not suitable for treating vitamin B12 deficiency. Your doctor or pharmacist can tell you what the most appropriate supplement is for you. Zeuschner CL et al. (2012). Vitamin B12 and vegetarian diets. MJA Open 1 Suppl 2: 27-32. Koyyalamudi SR et al. (2009). Vitamin B12 is the active corrinoid produced in cultivated white button mushrooms. J Agric Food Chem. 22:57(14):6327-33.